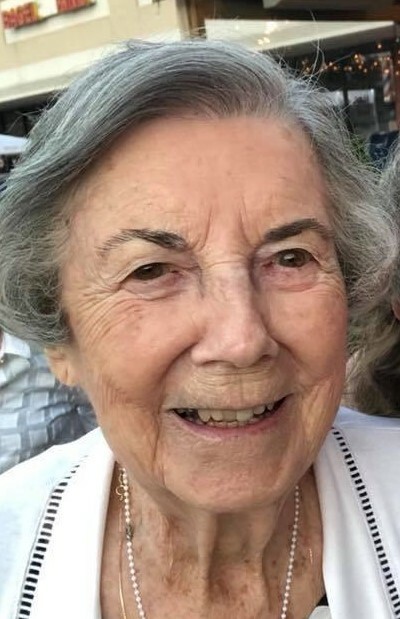 Esmeralda M. (Rodriguez) Vitali, 101, of Norwalk, Connecticut and formerly of Pawtucket and North Providece passed into eternal life on January 25, 2019. She was the wife of the late Libero Vitali. Mrs. Vitali was born in Waltham, Massachusetts, the daughter of the late Nicanor Rodriguez and Evangelina (Meizozo) Rodriguez. She was a homemaker. Mrs. Vitali is survived by her daughter, Carolyn Fleisher (Michael Lamont) of Norwalk, Connecticut and her son David Vitali (Betty Heinold) of Annandale, New Jersey. She is also survived by her grandchildren, Lynn Schlesinger-Feldman (Gregg) and Kristen Schlesinger-Calabrese (Paul) and her great grandchildren, Sydney Feldman, Madison Feldman and Mia Calabrese. The visitation for Mrs. Vitali will be on Thursday morning from 9:30 am until 11:00 am in the Manning-Heffern Funeral Home Funeral Home 68 Broadway, Pawtucket with a service to follow at 11:00 am in the funeral home. Her burial will be in St. Francis Cemetery, Pawtucket.